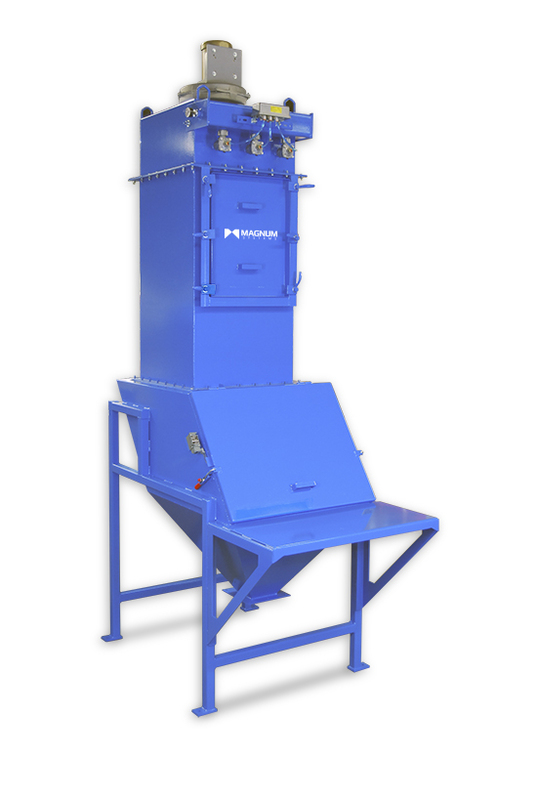 Magnum Systems manual bag unloading/bag dump stations are utilized for manual entry of product into a system. 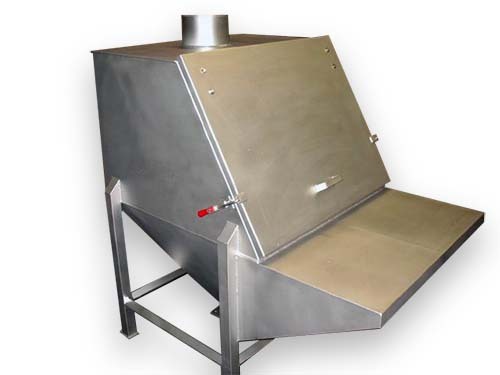 Designed to handle up to 50lb (25kg) bags with integral hopper allows for consistent entry of product to a flex auger, conveyor, or pneumatic transfer system. 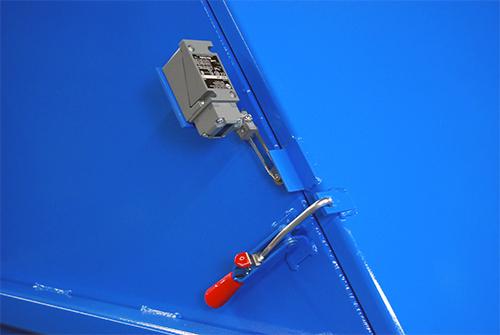 Stainless steel construction is standard with leg supports for rigid installation in multiple applications. Hinged door, grate, 4” dust vent and integral hopper are basic features of the small bag unload station. 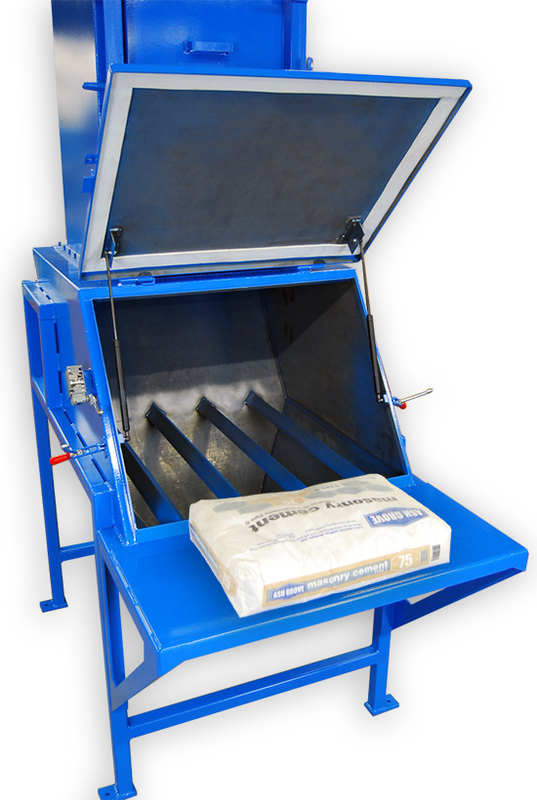 Optional bag shelf and work platform increase operator safety and ease of use. 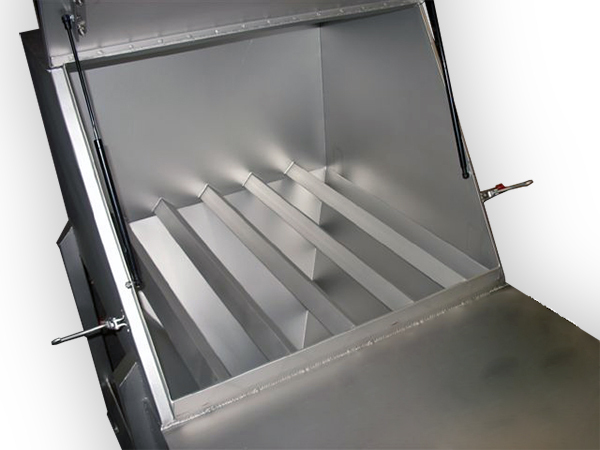 Integrating a self-contained bin vent and exhaust fan provides for a dust-free environment during unloading. The standard discharge flange is designed for use of a Smoot airlock valve and can be modified for additional metering or discharge devices.